This project required the design of a substantial family home on a restricted suburban block. 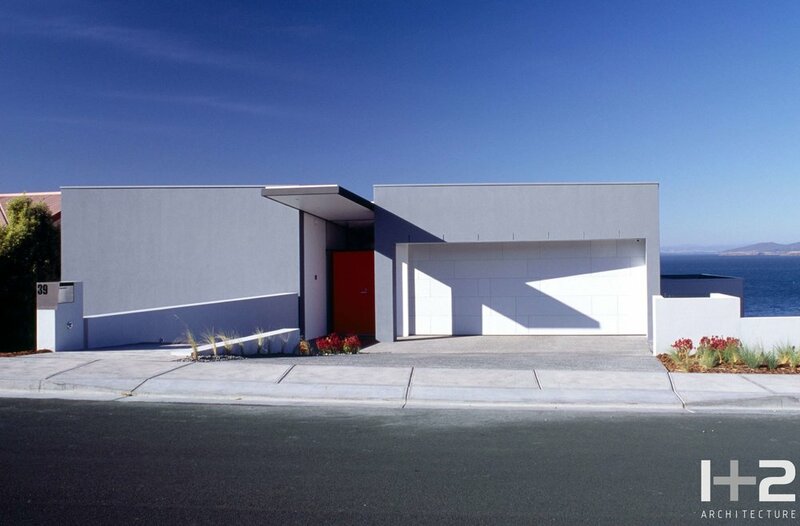 The mundane suburban context of the project demanded a response which both challenged its neighborhood while providing the owners with a sense of privacy and connection with the broader landscape and river views. The architectural solution is a long, low dwelling benched into its steep site, offering protection from the street and close neighbors, while opening up to capture daylight and views from its elevated riverside location. “The architects were faced with a long, narrow steep block and an overbearing conglomeration of suburban houses which hemmed in the site, while a spectacular view lay below the slope. The solution was simple but effective: cut out the neighbors and enhance the experience of the view. In contrast to the surrounding houses, Ian & Jean’s presents a plain façade to the street with a colorful door and a canopy that sails overhead and projects down, inviting entrance and exploration. On entrance, stairs and the canopy direct the attention down to a deck and living area projecting beyond the slope. 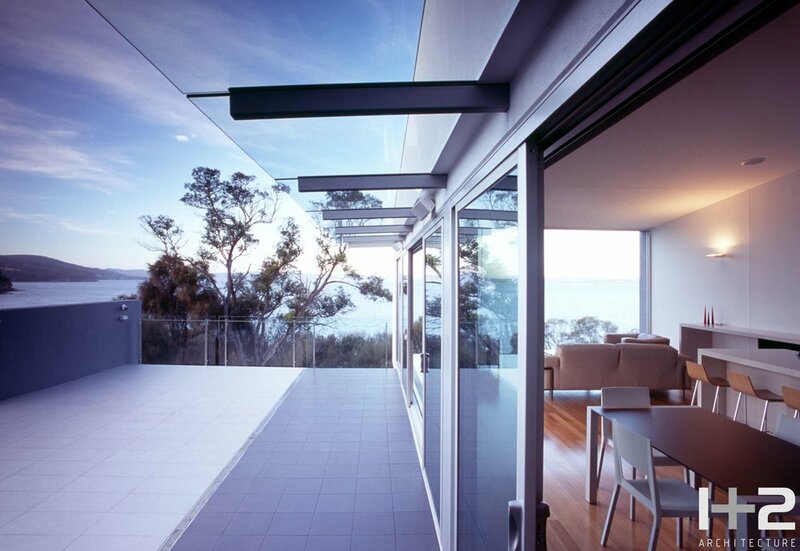 The fully glazed end to the living area captures a view of the sea and distant hills. Opening to the side, the deck takes in the sweep of Blackmans Bay. The living area slides back into the hillside forming a deep and enclosed space, a relief and counterpoint to the expansive setting.